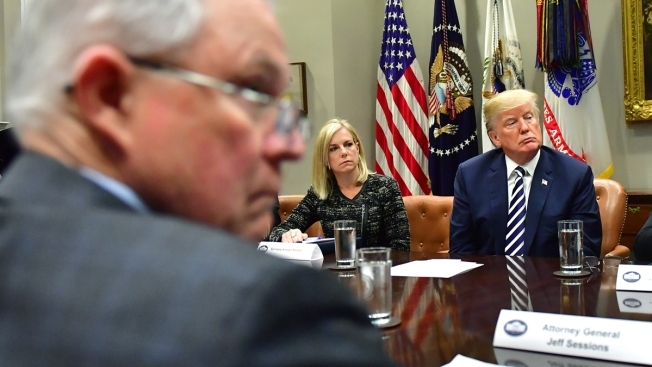 This March 20, 2018, file photo shows President Donald Trump (right) at a law enforcement roundtable on sanctuary cities in the Roosevelt Room of the White House. In the foreground is Attorney General Jeff Sessions. Trump added at the end of his tweet: "And I wish I did!" 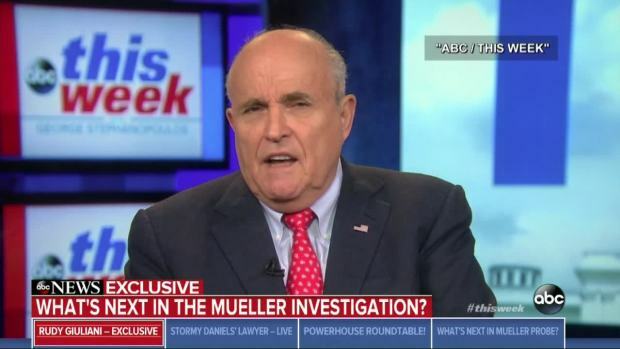 But Gowdy had also disputed Trump's allegation that the FBI spied on Trump's 2016 campaign for political purposes, telling both "CBS This Morning" and Fox News there is no evidence of FBI misconduct or that the agency planted a "spy" in the campaign. Trump has said the FBI planted a "spy for political reasons and to help Crooked Hillary win." Gowdy received a classified briefing on the subject that lawmakers had demanded following reports that a government informant approached Trump campaign officials. It left him "even more convinced that the FBI did exactly what my fellow citizens would want them to do" in acting on information," Gowdy told Fox on Tuesday.